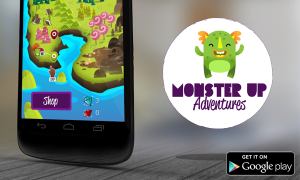 MonsterUp and MonsterUp Adventures were both built for Windows Phone first using pure XNA and C#. This made it a bit tough to port them to iOS and Android, but not impossible. I did port them to both eventually, using the excellent Xamarin technology and the open source framework MonoGame. On iOS, things are quite simple, since there are very specific devices I needed to test the final games on, and also very specific iOS versions, since the majority of people seem to be on the latest or second to latest version anyway. On Android, things are much more complicated than that. 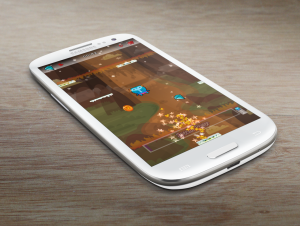 In order to do the best I can for Android, I have thoroughly tested the game on a Nexus 4, a Samsung Galaxy S3 and a Samsung Galaxy S2. In my mind, most people use Samsung Android phones and these 2 seemed to cover a large percentage of the market, including the wildly popular 2.x version. Also, the Nexus made sure that at least the game runs on pure vanilla Android the way that it should. I released the games with this in mind, but I also released them for free, knowing that a percentage of people might still have issues with them. The reality proved much worse than I imagined. The games were downloaded more than 20’000 times on Android but people who had problems running the games are many many more than I expected. Even on the same devices I already had tested the game, people seem unable to open and play. And boy, they didn’t like it:) Even though it was a free game, many of them decided to leave 1 star reviews, with the result being the game to currently have a 3.7/5 and 3.24/5 average rating. Given that MonsterUp Adventures on Windows Phone has more than 4.5/5, I am not worried that this means something for the quality of the game, but rather the specific Android build just isn’t working as it should. The complexities involved in porting such a game from XNA to Android are a lot, including a (rather expensive) middleware, such as Xamarin, which is pretty stable, an open source framework like MonoGame which can be pretty stable but can also have its ups and downs and unlimited different device configuration, custom roms, weird customizations etc. that just cannot be anticipated. In conclusion, I have decided to pull the two games from the Play Store for the time being, until I find a way to make more stable builds, which is a bit unlikely in my current state, but I might try to do in the future. I am guessing people who already have and enjoy the game can continue to do so, but I am not sure if they will be able to get the games again if the delete them from their device. I hope I can come up with a solution for that in the future. The iOS and Windows Phone versions work much better and will remain as is for now. These platforms are much more stable and predictable and as a developer, I like them much more for that :) It’s a pity that Android has dominated emerging market with their crappy cheap phones, and I would MUCH rather see people buying cheap Lumias like the 520, which offer a MUCH better user experience and a MUCH more stable platform for almost the same money. I love MonsterUp Adventures. It’s my favourite game:) When I started designing it, I tried to take everything that was great with the original MonsterUp and make it better in small or bigger ways. The result game had it all! A purpose to all this jumping (there are levels to pass and you have to collect specific number of gems to do so – not to mention stay alive long enough), there is a small story (Skotooooooooooooooooos), the animation has double the fidelity (twice the frames actually) and the graphics are much much more awesome overall (thank you Ilias, you are awesome), there is original music (thank you Marietta, you are awesome), boss battles, an animated game map, multiple game saves, mini games and so much more! The game has been an exclusive for Windows Phone until today. 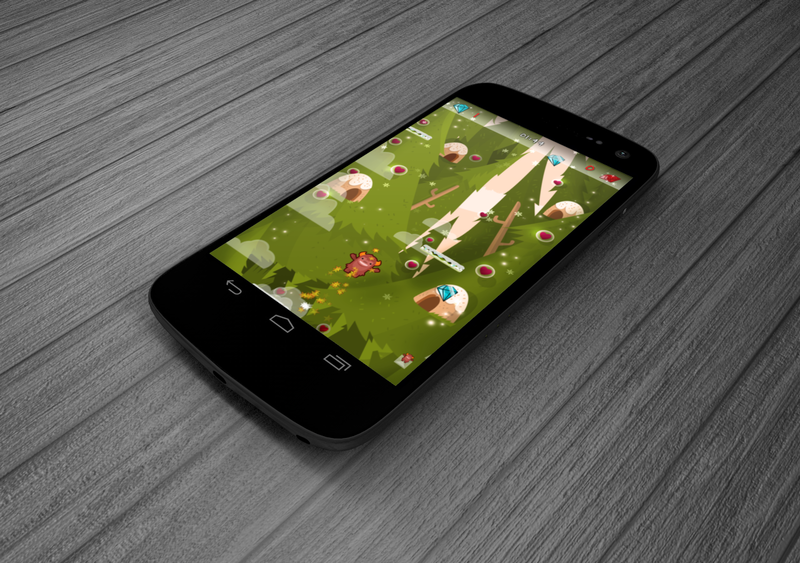 Today, I have released the game for Android phones for free. So go ahead, download and enjoy this awesome game, it won’t cost a thing. Go to Trelloland, find the Skotos minions and defeat them, it’s awesome fun, I promise you!